Kevin Rosario, author of The Culture of Calamity: Disaster and the Making of Modern America has written an insightful piece for the Wall Street Journal on Haiti’s recent tragedy. 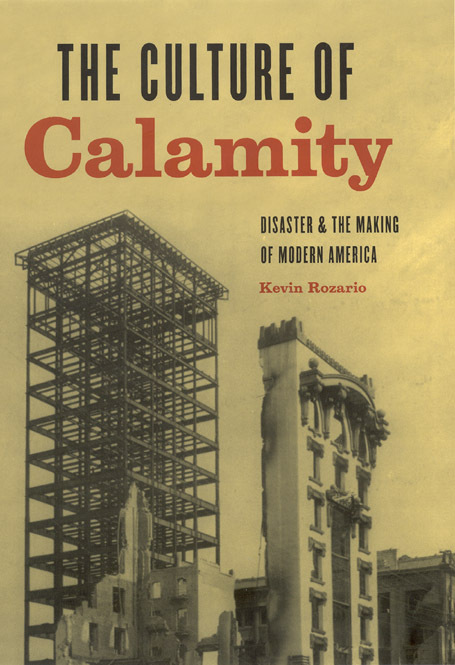 Drawing on the topic of his book Rosario’s article offers a brief historical account of how Western culture has interpreted similar disasters in the past and details the rise of what he calls a “dominant narrative of disasters as instruments of progress”—a narrative which, in light of recent calamities like Katrina and Haiti, Rosario notes might itself be starting to fall apart. Navigate to the Wall Street Journal website to read the article, or for a more thorough examination of how disasters have played out in the Western consciousness pick up a copy of The Culture of Calamity, or read an excerpt.